Land Of This Guy » What’s all this about? Home » What’s all this about? About time you stopped asking so many questions! 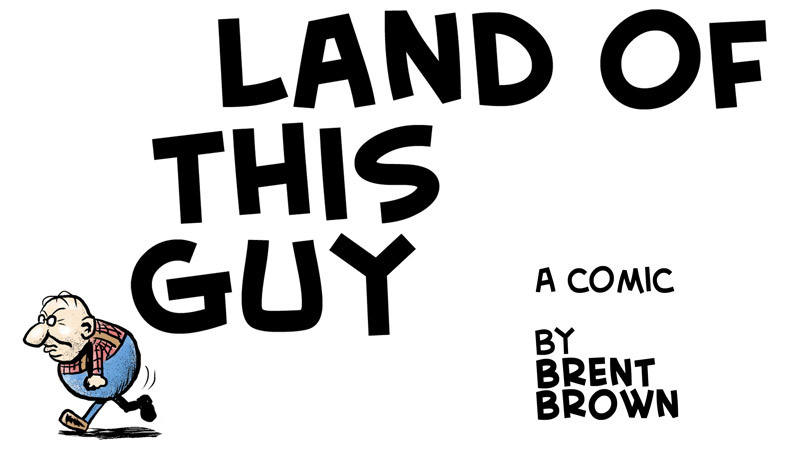 Also: This site collects and showcases the 2013-present run of the comic strip, “Land of This Guy” by cartoonist/illustrator, Brent Brown, which has been published in the Asheville, NC alt-weekly, “Mountain Xpress” since 2007. (If you want to see the 2007 and beyond comics, they in an archive too.) In addition to the weekly comics, there are added notes from the creator, explaining the jokes for those that don’t get them (or just himself for those who don’t get him), apologizing, or just offering references to find the original source of the particular subject or subjects of the comic, as well as links to previous comics from years past.